Hong Seok Chun, who is making his mark as an actor in MBC’s Monday-Tuesday drama ‘Triangle’, recently posted a photo he took with his fellow cast members. 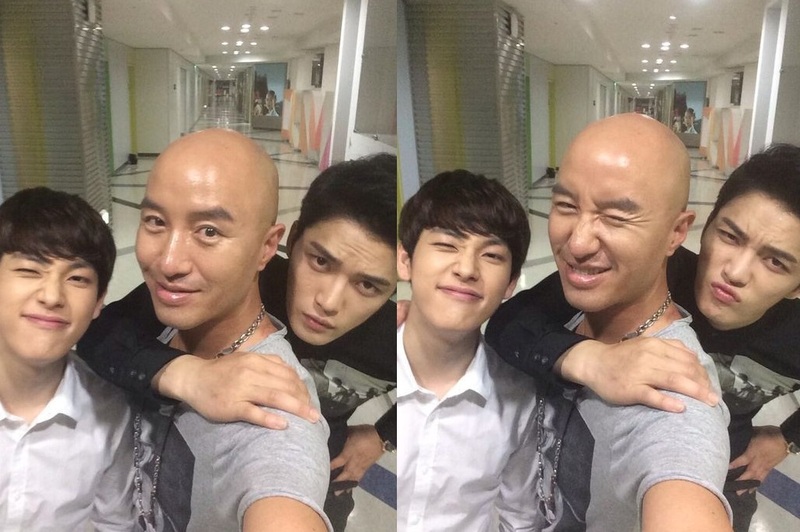 In the photo, Hong Seok Chun, Kim Jaejoong and Im Siwan are looking at the camera with mischievous expressions on their faces. The latest episode of ‘Triangle’ showed Yangha (Im Siwan) and Yongdal (Kim Jaejoong) suffering from the kidnapping of Jung Hee (Baek Jinhee). The 18th episode of ’Triangle’ scored viewer ratings of 10%, which was 2% higher than the episode that aired on the 30th of June.